Do we have any chocolate fans in the house? Anyone besides me? 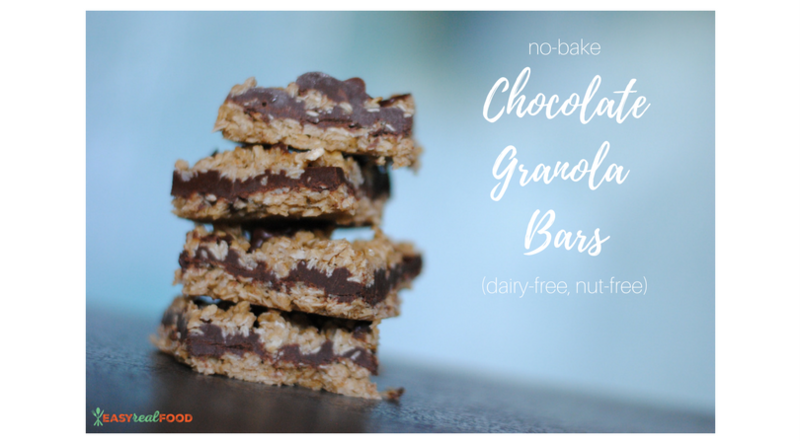 🙂 If you are also a fan, you are going to love these no-bake chocolate granola bars, which actually have an interesting story to them. Me: WE HAVE A WINNER! Check out my Instagram story for a pic. Lisa: It looks great! Is there any sugar? Lisa: I hope that you can use it on your blog because they looked really good! While she occasionally includes recipes on her blog that include sugar, it’s a no-go for the book. Sooooo … the bad news is that this recipe that I was SO excited about will not be in her upcoming cookbook. But the GOOD news is that I can share it with you now! I just know you are going to <3 this recipe because not only are they as delicious as they look, but they are SO.FREAKING.EASY. Like my 11- or 13-year-old can make these themselves. 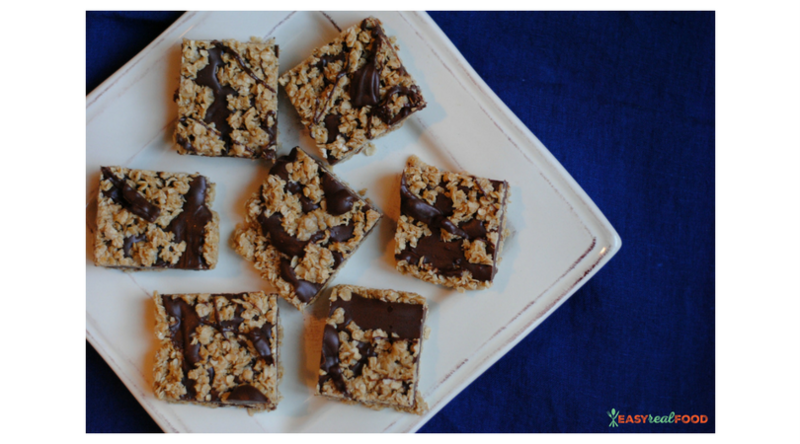 I honestly didn’t know if I should call these a dessert because they really are more like a granola bar (with chocolate as a bonus). My kids even said the same thing without me first sharing my thoughts. So lets do this – we won’t call it a dessert, we’ll call it a granola bar. That way it won’t *count*:). You can make these without the use of your oven. Yep, as long as you have a microwave, you’re in good shape. I use Enjoy Life Dark Chocolate Morsels. They are free of the common allergens and contain just 2 ingredients: unsweetened chocolate and cane sugar. PLEASE let these sit in the refrigerator for 2-3 hours to harden before attempting to cut. Trust me – I know it’s tempting! 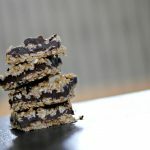 Deliciously tasty chocolate granola bars that include oats, nut butter, and of course - chocolate! Line a 9 x 9 baking pan with wax paper. In a medium-sized microwave-safe bowl, heat butter to melt (approx. 30 seconds). Stir in the 1/4 cup sunbutter and heat for another 20-30 seconds. Add maple syrup and mix in oats. Take 2/3 of this "granola" mixture and press down onto the wax paper in the baking pan. In another medium-sized microwave-safe bowl, heat chocolate chips and the 1/2 cup sunbutter for 60 seconds, stopping to stir at 30 seconds. Pour most of the chocolate mixture on top of the granola, reserving a few spoonfuls for drizzling on top. Sprinkle remaining granola on top of the chocolate, gently pressing down to ensure that it sticks. Drizzle remaining chocolate on top and place pan in the refrigerator for 2 hours before cutting. Let me warn you that these are dangerously delicious. But you will love them! Enjoy! Hmmm – did you make sure to let them cool in the refrigerator for 2-3 hours before cutting? They will definitely fall apart if they are not completely cooled. Hopefully this suggestion helps!